The passing and laying to rest of drug lord and internationally notorious criminal Fernando Alberto Ruiz was given no more than a quick mention on the ten o'clock news here. It's a small tragedy when any person, even one responsible for as many deaths and broken lives as Ruiz, passes. There is always more to one man's life than a single sentence or two on the nightly news can report, and Fernando Alberto Ruiz's life was more full than most. Here in the States he was little known, a name trotted out on the news networks from time to time—just a face for the seemingly endless drug violence that's overtaken the Southwest, from Mexico City to Phoenix, San Antonio, and Los Angeles. It is primarily due to a Hollywood box office dud, and the public's seemingly endless fascination with the mermaids of the Pacific Ocean, that Ruiz's name is recognized at all. In Mexico, it's a different story. 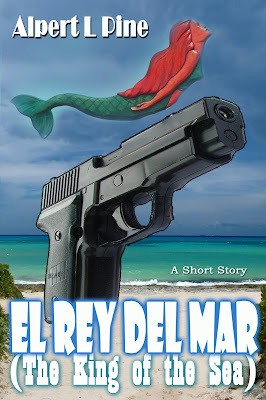 Everybody has heard of El Rey del Mar, The King of the Sea. In some places, mostly cities or regions under the rule of some other drug lord—one or another of Ruiz's many rivals—the populace hate and vilify Ruiz. 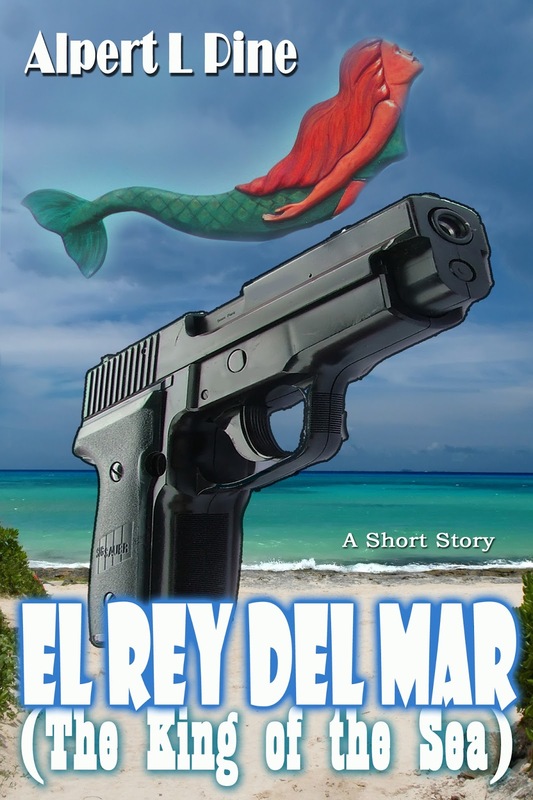 In Bescalero, and throughout much of the Baja peninsula where Ruiz grew up and spent his entire life, El Rey del Mar is a hero who gave back to the community more than most, while battling the gringos North of the border, as well the corrupt policía of Mexico. Born in 1958 on New Year's Day, Ruiz was the last of eight brothers and sisters. His family was poor and there was rarely enough food. Mrs. Ruiz cared for all the children and the home, and also worked in a neighborhood restaurant. Ruiz's father was killed in a botched mugging when Fernando was just two. His older brothers and sisters worked from the time they were eight or ten, and young Fernando did the same when he reached that age. When he was eleven, his mother and his two eldest siblings were killed in an auto accident. The bus they were travelling in lost control and left the highway at a high rate of speed, rolling over several times. The remaining Ruiz siblings were left to fend for themselves, homeless on the streets of Bescalero. Like many youth whom discovered there was money to be made from crime, Ruiz spent his teenage years in a local gang in Bescalero, mostly moving drugs and weapons. He was involved in several vicious attacks and kidnappings, and earned his first moniker, Claws, due to his proclivity for scratching his victims with his long, unclipped nails. However, despite his well-documented violent behavior, Ruiz is not suspected of taking an actual life until he was eighteen years old. He was one of the so-called Wild Aces involved in the Loreto Pier Massacre, otherwise known as the September Nineteenth Yucca Murders. Fifteen members of a rival gang were lined up on a deserted beach, and forced to dunk their heads beneath the foaming surf. One by one as the victims surfaced, gasping for air, they were shot in the head by the Wild Aces. When the last of the captured men surfaced, he was shown the corpses of his former associates, and told to return to his employer, Alejandro Garbo, and tell him of the night's events. This was the beginning of the First Baja Drug War, which would rage for the next five years. Hundreds of soldiers on both sides of the war were killed, and countless innocent civilians were cut down in the crossfire of sporadic, bloody and violent battles. Car bombings, shootouts, kidnappings, and assassinations became commonplace. The local police and the Mexican military were drawn into the war as a third party, but were ineffectual in bringing the violence to an end. Fernando Alberto Ruiz, at the age of twenty-five, was living on borrowed time. Camping on a beach in southern Baja, taking what he needed to live, he drank tequila every night while staring out at the crashing waves, waiting to be found by Garbo's men. He was waiting to die. It was during this period of self-exile and self-hate on a barren beach in southern Baja, that Ruiz came into contact with the mermaids. No one but Ruiz will ever know for sure the circumstances surrounding that first meeting, and his subsequent befriending and bonding with the mermaids of the Pacific Ocean. Why did they choose him? Even after they knew more about the type of man he was, why did they remain loyal to him? Few have had the privilege of seeing the mermaids, and even fewer have ever had the opportunity to speak with them. They are very selective about whom they choose to reveal themselves to. We know this much for certain: sometime during his stay in southern Baja, Fernando Alberto Ruiz became one of the few humans to be accepted by the mythical mermaids of the Pacific Ocean. So secretive and reclusive are the mermaids, to this day there are still men and women, otherwise intelligent and rational individuals, who refuse to believe in their existence, despite the wealth of evidence supporting their reality. One need look no further than the famous photograph of Ruiz, taken in the early 2000's, alongside the mermaid he called Ilsa-Doll, whom he referred to on many occasions as his wife. Many other amateur photographs and stories of mermaid encounters also exist. Regarding Ruiz's earliest contact with the mermaids, Elian de Soto, the first biographer of El Rey del Mar, once suggested that it was a failed suicide attempt—that Ruiz, in drunken despair, assuming he'd be hunted down by Garbo's men at any time, threw himself into the ocean only to be rescued by one of the mermaids. As Ruiz was living alone on the beach at this time, and the mermaids have never been questioned on the matter, it's impossible to know the truth. It's worth noting that not long after floating the idea publicly in the late 1990's, de Soto was found murdered in his office in Mexico City, possibly (some say) the victim of a hit ordered by an embarrassed Ruiz, in order to shut up the journalist. Further supporting this theory is the fact that Jorge "Georgie" Cabrera, one of Ruiz's closest associates in the early years of El Rey del Mar's drug smuggling operation, and who was supposedly de Soto's source for the suicide story, also died under mysterious circumstances. Georgie claimed (according to de Soto) that Ruiz once told him the suicide story personally, when the two friends were on a week-long bender, high on mescaline and marijuana, and drunk on tequila. Two weeks after de Soto was found murdered, Georgie Cabrera drowned in a toilet in San Bernardino. Before his unfortunate death, however, Georgie was one of Ruiz's oldest allies. They met in a bar in Tijuana, and claimed—as they would often loudly, drunkenly tell anyone whom hadn't personally heard it from one or the other of the two men—that they had nearly drawn knives on each other in the restroom. Only a confused, coked-up American tourist, with cocaine residue on her ample cleavage and smelling like tequila and lemon, walking into the wrong restroom, prevented the two men from having it out right there. "There was suddenly something a little sweeter to stick than ol' Georgie," Ruiz would declare when telling the story, bursting into drunken laughter and ordering more shots for everyone in the bar. Of course, it's also well known that in his later years, Ruiz developed a distaste for non-mermaid females. Georgie's version of the tale—usually only told when Ruiz wasn't around—had the American tourist slapping El Rey del Mar across the cheek and leaving the bar with a grinning, giddy Georgie. What the two men's tales did agree on was the friendship that grew up from that chance meeting, which had very nearly ended in violence. Things moved quickly for Fernando. Within a year of first encountering the mermaids, Ruiz was head of the second largest drug operation on the Baja peninsula. Only old Alejandro Garbo commanded more men and dealt in greater sums of drugs, weapons, and money. The upstart, Ruiz, not yet known as El Rey del Mar, was closing the gap rapidly. By 1988, at only thirty years of age, Ruiz had grown his empire to a size which rivalled that of his nemesis, Alejandro Garbo. Still harboring the bitter memories of being witness to so many of his friends in the Wild Aces dying at the hands of Garbo's goons, and also of the many months that Ruiz himself spent on the run, certain that any day he too would get a bullet in the head, it was inevitable that Ruiz would eventually renew the violence of those earlier years in an attempt to gain revenge and to bring down once and for all his rival, Alejandro Garbo. Known colloquially as the War of the Land and the Sea, the Second Baja Drug War was even more violent and bloody than the first. Fueled by intense hatred for Garbo and an ever-increasing bankroll—thanks largely to the efforts of the mermaids and their nearly imperceptible and untraceable international drug shipments on behalf of Ruiz—this time around, El Rey del Mar, as he was now being called in the Mexican press, came out the eventual victor. Garbo's army was destroyed, any last remnants hunted down with cruel efficiency by Ruiz's agents. As for Garbo himself, he disappeared in the final weeks of the war and was never heard from again. A rumor which arose at the time and that has never fully been quelled is that Ruiz, along with several of his most loyal mermaids, took Garbo out into the Pacific Ocean, miles from shore, and let him slowly dehydrate and bake in the brutal sun, before finally allowing a swarm of circling, blood-thirsty sharks—pets of the mermaids—to feed on the screaming, elderly man. Throughout the 1990's and into the 2000's, Fernando Alberto Ruiz enjoyed unrivalled fame and power as the head of one of Mexico's largest drug cartels. Using his mermaids to transport drugs beneath the water to a variety of foreign shores, Ruiz was able to reach new markets and highly-patrolled ports with unprecedented ease. No one is certain how many mermaids were working under Ruiz or how much product they were able to move, but joint operations conducted by several nations, including Mexico, the United States, Panama, Canada, and Chile, were wholly unsuccessful in stopping Ruiz's shipments. No mermaid working for Ruiz was ever captured, and no evidence has ever surfaced that any agency was even close to capturing one. Private individuals proved slightly more successful. One famous incident, in which a sea glass collector, out late at night on a quiet beach in southern California, encountered a pair of mermaids hauling several crates onto the empty beach, made the local news at the time. Grainy video, shot by the collector on an early-model smart phone in the near-dark exists, but experts examining the video have been unable to glean anything from the pixelated, almost-black images. Known as the Freedman Film, after Linda Freedman, the glass collector who shot the footage, it remains to this day the best available evidence of Ruiz's mermaids, whom the press took to calling "Sea-Dealers." As for Linda Freedman, she claimed in the months following the release of her footage to have been the victim of constant bullying by all manner of lifeforms and creatures in the ocean, to the point that she was forced to give up her hobby. Less than a year later, she gave away all of her sea glass and moved from southern California, back to her hometown of Indianapolis, Indiana. In 2008, a Hollywood version of El Rey del Mar's life was released to theatres, entitled Sea of Violence. It starred Adrien Brody as Ruiz, and Kevin Spacey as Alejandro Garbo. Charlize Theron portrayed Ruiz's mermaid wife, Ilsa-Doll. The movie was a failure at the box office, due in large part to several high-profile negative campaigns which focused on the fact that the film featured Caucasian actors and actresses in all the major roles, and a complete lack of any Spanish dialogue at all. About the time the movie was fizzling in theatres, the public opinion for Ruiz began to turn. Several high profile instances of violence on both sides of the U.S - Mexico border began to erode El Rey del Mar's popularity, as the public became increasingly distressed by the uptick in drug-related violence. In particular, the bombing of a Rite-Aid Pharmacy in southern Arizona by a rival drug cartel, and the bombing and subsequent sinking of a Carnival Cruise Lines passenger ship in the Pacific Ocean by a militant branch of mermaids with loose ties to Ruiz, caused great public outcry. Thus began a crackdown on the drug cartels, which until then had operated with relative impunity. By 2011, a violent campaign was being waged in many cities, mostly in Mexico, as the united militaries of the United States and Mexico sought to crush the drug cartels for good. Initially given a diagnosis of two or three months to live, Ruiz spent much of the vast illegal fortune he'd amassed on his hometown and the surrounding areas. Four years later, Ruiz was still alive and kicking (the same couldn't be said for the doctor whom had given him the original estimate) and was in good spirits when he appeared on the Mexican television show La Entrevista (The Interview). "I'm a blessed man," he told TV host Don Miguel Sanchez. "I've lived a blessed life, and I've been able to give something back to the community. This is very important to me. In addition, I've met and swam with and made love to dozens of mermaids far more beautiful than any two-legged puta." When asked why he thought the mermaids had chosen to reveal themselves to him, and to serve him loyally throughout his life, running drugs and occasionally carrying out hits on targets known to be in boats or near the water, Ruiz shrugged and offered the camera his famous smile. Hours after the interview was filmed, Ruiz collapsed at his hotel and was rushed to hospital. Doctors worked frantically overnight to save him, but at 5:52 A.M. local time, on October the 22nd, Fernando Alberto Ruiz, El Rey del Mar—the King of the Sea—was pronounced dead. Three days later, his body was laid to rest in the Pacific Ocean, off the coast of Baja near his beloved town of Bescalero. Reported mermaid sightings surged the day of the funeral and in the days that followed. Ruiz was not a great man. Some would insist he was merely a bad man—one of the worst—but that isn't the whole story, either. Fernando Alberto Ruiz was a complicated man, who in many ways lived an extraordinary life. From humble beginnings, he rose to the head of a powerful, international drug smuggling organization. He met and mingled with mythical creatures, Hollywood featured the story of his life on celluloid, and through it all, Ruiz never forgot where he came from. He spent the last few years of his life giving back, perhaps in an effort to repay in some small measure the pain that the blood and violence and deaths for which he was responsible had caused—an attempt to even the scales, so to speak, with works of good will and charity. In the end, Fernando Alberto Ruiz will be remembered as far more than just another drug lord. He was a hero, a villain, a myth and a legend. He was El Rey del Mar. The King of the Sea. (WP) You fell in love with a mermaid and you can now avoid police detection in the drug trade because she helps you traffick drugs under the ocean.